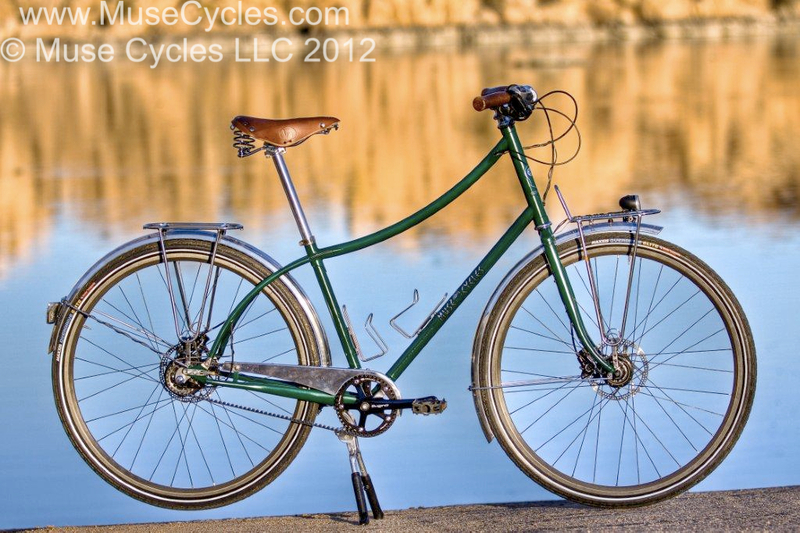 The Harmony Roadster by Muse Cycles is designed for low maintenance commuting in all weather conditions and all times of the day with a comfortable upright riding posture and ample stand over clearance for easy mounting and dismounting. Internal cable routing for the rear brakes, rear shifter and rear dynamo lighting. The Harmony Roadster frame is constructed from a custom blend of double butted, single butted and aircraft grade 4130 steel to ensure classic steel ride characteristics. The frame is joined using a combination of TIG welding and silver and bronze brazing techniques. 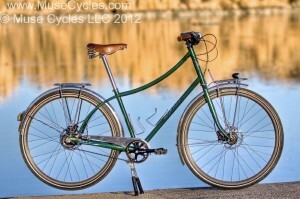 Get wherever you are going in Harmony, with the Muse Cycles Harmony Roadster.